Gorgeous colours! I&#39;d often wondered what millet looked like! Spectacular! It was interesting for me to see the millet. I&#39;m trying to buy some red millet here if I can find it. What a beautiful combination of colors. Welcome to FSO linky party. Such a beautiful shot. I am posting this for our one of our spotlights this week. Wow! I had no idea millet would look so good up close. Fantastic shot! Clean air is best for breathing and beautiful photos. 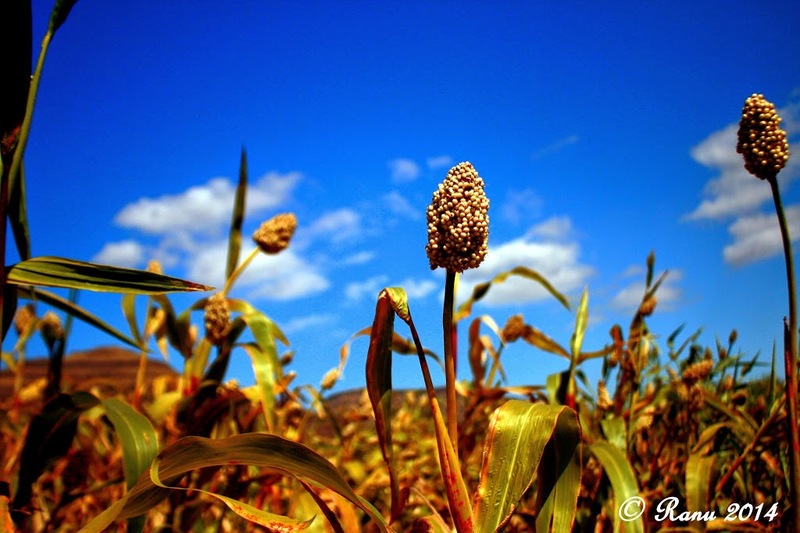 The warmth of the millet against the cool of the skies contrast one another in such a glorious feast for the eyes! Thank you!